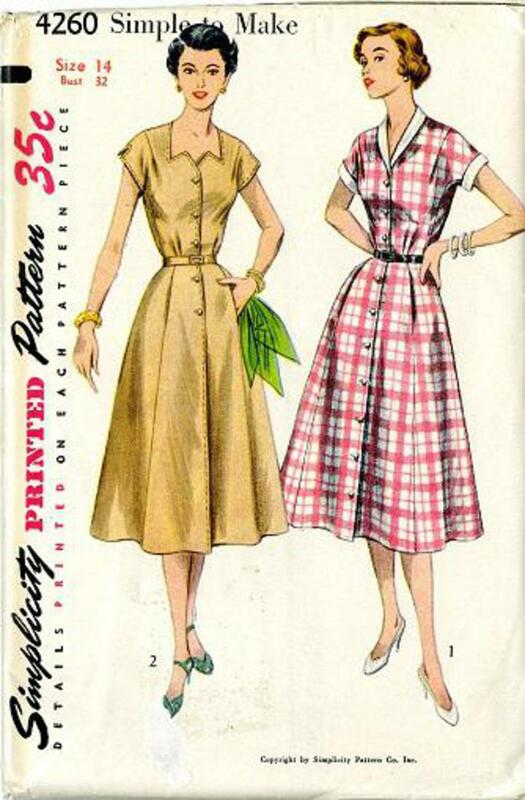 1953 Simplicity #4260 vintage sewing pattern, misses' one-piece shirt dress with flared skirt, size 14. 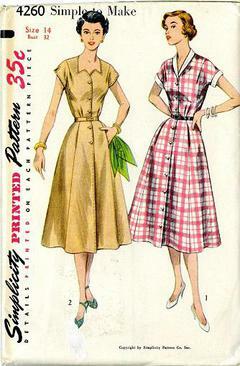 'Simple to Make' dress has short kimono sleeves and bodice underarm section for freedom of action. Concealed pockets in flared skirt are optional. View 1 buttons down entire front. Collar and cuffs are contrasting. View 2 has wide shaped neckline, sleeves open at outer edge, button close to hipline.